And that is what we are experiencing today. Children are the canaries in the coal mine. When they manifest increased rates of adult diseases like hypertension or high triglycerides, something’s wrong. And when they get diseases that have never previously been seen in children, like type 2 diabetes and fatty liver disease, it’s time to re-evaluate. Where could these diseases come from? Certain countries are obese without being diabetic (e.g. Iceland, Mongolia, Micronesia), while other countries are diabetic without being obese (e.g. India, Pakistan, China). China has 12% diabetes, and they’re not fat; the USA is the fattest nation on earth, and the diabetes prevalence is only 9%. While 80% of the obese population is metabolically ill, that means 20% are not. Conversely, 40% of the normal weight population harbours these same diseases. If normal weight people get them, how is this related to obesity? Indeed, we now know that obesity is a marker rather than a cause for these diseases, termed “metabolic syndrome”. So what causes metabolic syndrome? Everyone assumes it’s the burden of our consumed calories in total; no one specific food causes it, because “a calorie is a calorie”. Yet a group at UCSF has provided the proof that relegates this thesis to the dustbin of history. They studied 43 Latino and African-American children with obesity and metabolic syndrome over a 10-day period. They assessed their metabolic status on their home diet. And then, for the next nine days, the researchers catered their meals – NO ADDED SUGAR. We gave them the same calories and protein and fat content as their home diet. We gave them the same percentage of carbohydrate; however, we substituted starch for sugar. We took the chicken teriyaki out. We put the turkey hot dogs in. We took the sweetened yogurt out. We put the baked potato chips in. We took the donuts out. We put the bagels in. We gave them unhealthy processed food, but it was NO ADDED SUGAR food. We gave them a scale to take home. If their weight was declining, we made them eat more. Then we studied them again. In short, every aspect of their metabolic health improved, with no change in weight. Blood pressure, triglycerides, low density lipoprotein (LDL), insulin sensitivity and glucose tolerance all improved, and on the same number of calories and without weight loss, just by removing the added sugar – and in just 10 days! Furthermore, their cardiovascular risk factors disappeared into thin air. This study demonstrates categorically that, “a calorie is not a calorie”, and that sugar is causative for metabolic syndrome, unrelated to calories or weight gain. Sugar may not be the only cause, but it is by far and away the easiest cause to avoid. 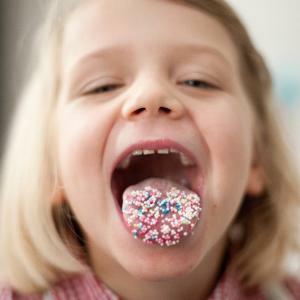 Kids could improve their metabolic health – even while continuing to eat processed food – just by dumping the sugar. Can you imagine how much healthier they’d be if they ate real food? The naysayers will say, “But sugar is natural. Sugar’s been with us for thousands of years. Sugar is FOOD! How can food be toxic?” This begs the question: What is food? Is sugar food? Webster’s Dictionary defines food as “material consisting essentially of protein, carbohydrate, and fat used in the body of an organism to sustain growth, repair and vital processes, and to furnish energy”. Sugar furnishes energy, so of course it’s a food! But wait… can you name an energy source that is not nutritious, where there is no biochemical reaction in the human body (or in any organism) that requires it, that causes disease when consumed at high dose, yet we love it anyway and it’s addictive? Answer: alcohol. It’s got calories, but it’s not nutritious. There’s no biochemical reaction that requires it, and at high doses, alcohol can fry your liver. Yet we love it anyway. Alcohol is not dangerous because of its calories. Alcohol is not dangerous because it makes you put on weight. Alcohol is dangerous because it’s alcohol. Clearly, alcohol is NOT a food. It’s not nutritious. When consumed in excess, it’s a toxin. Same with sugar. Fructose, the sweet molecule in sugar, contains calories that you can burn for energy, but it’s not nutritious, because there’s no biochemical reaction that requires it. And when consumed in excess, sugar fries your liver. Just like alcohol. And this makes sense, because where do you get alcohol from? Fermentation of sugar. 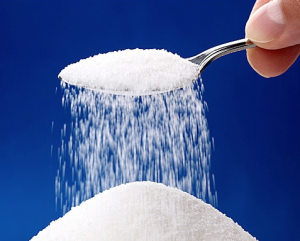 Sugar causes diabetes, heart disease, fatty liver disease and tooth decay. Sugar’s not dangerous because of its calories, or because it makes you fat. Sugar is dangerous because it’s sugar. It’s not nutritious. When consumed in excess, it’s a toxin. And it’s addictive. Fructose directly increases consumption independent of energy need. Sucrose infusion directly into the nucleus accumbens reduces dopamine and μ-opioid receptors similar to morphine, and establishes hard-wired pathways for craving in these areas that can be identiied by fMRI. Indeed, sweetness surpasses cocaine as reward. Animal models of intermittent sugar administration induces behavioural alterations consistent with dependence, i.e. bingeing, withdrawal, craving and cross-sensitisation to other drugs of abuse. Sugar is just like alcohol. And that’s why children are getting the diseases of alcohol – type 2 diabetes and fatty liver disease – without alcohol. But we could turn this around in 10 days – if we choose to. Written by Prof. Robert Lustig is Professor of Paediatrics and founder of the Weight Assessment for Teen and Child Health (WATCH) Program at UCSF Benioff Children’s Hospital, and member of the Institute for Health Policy Studies at UCSF. He is the author of Fat Chance, the upcoming The Agony of Ecstasy, and he is the President of the non-proit Institute for Responsible Nutrition.